How to Become a Firefighter in Pennsylvania? How Much Do Firefighters Earn in Pennsylvania? The state of Pennsylvania, fortunately, is not amongst the most fire-prone states in the US. Nonetheless since 2002; over 32,000 acres of land have been burned here due to wild fires. This has been due to almost 5,000 incidents of wild fires in the state. The U.S. Fire Administration reports that 2.8 deaths and 8.5 injuries resulted due to 1,000 fires in the state in 2016. In the light of this, incidents of wild fires are a major concern for the residents of Pennsylvania, which further accentuates the importance of a professional firefighting force in the state numbering approximately 5,000. If you would like to join this team of first responders, who protect life and limb of thousands each year, then read the following information carefully. Education – Applicants must possess a high school diploma or its equivalent (GED). Physical and medical requirements – Applicants must be physically fit to perform the duties of firefighters under all-weather conditions. Licensure – Applicants must possess a valid Pennsylvania driver’s license. Those with a suspended or revoked license may not be considered for the position. Residency – Applicants must be residents of the city they want to become a firefighter. Exam – Applicants must pass a civil service examination with high score to proceed to the next step. Interviews, Investigations & Examination – Applicants will have to undergo department interviews, background investigation including criminal investigation and a medical examination. 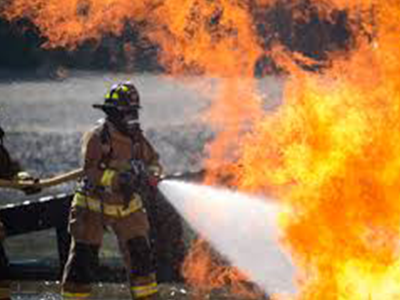 Training – Once you have cleared the above mentioned steps, you will be asked to begin your training at a fire academy. This program may last for six months during which you will learn basic firefighting techniques and emergency medical services as a cadet. Once you have successfully graduated, you will be sworn in as a firefighter and assigned to an engine. As a newly recruited firefighter, you will complete your probationary period, which may range from six months to one-year. As can be seen, the job growth in this field is predicted to be at 4%, which is low to moderate. Therefore, expect a stiff competition while entering the job market for this field. However, if you have important qualities like exceptional communication skills, physical strength and stamina, decision making skills, courage and compassion, you will have a good chance of getting hired as a firefighter in Pennsylvania.